If you think that work is just about getting the job done well and within deadlines, you better think twice. Working is not just about what you do, but also how you get it done — these two ingredients combined make up your reputation. And by now you must realize that reputation counts a lot in every kind of professional environment. 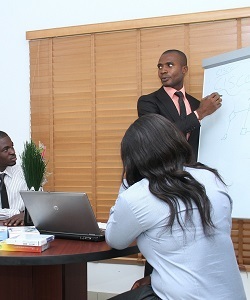 You’ll get promoted not only on the basis of what you do, but also on how others perceive what you can do. Your actions will be interpreted by everyone at your workplace, and at some point you’ll need to decide what sort of relationships you’d like to develop at work. Would you rather be liked or respected? Here are a few tips to help you deal with this issue and build a solid reputation in your field. This shapes our view of effective leadership. But perhaps greatness comes from being able to balance warmth and strength? And how does this sentence apply to regular employees who interact with their colleagues and supervisors? It’s simple — being liked at the workplace won’t help you to advance your career. This is especially relevant to inexperienced female professionals. Women are brought up in environments that expect them to be nice girls, but sitting still and speaking only when spoken to later on won’t get them far in their careers. Avoid sharing too much personal information. Actively participate in company politics. Don’t passively wait for the right opportunities to arrive at your doorstep. Avoid apologizing for someone else’s mistakes. Accept that confrontations are sometimes necessary. Learn to be more assertive. Exuding warmth is important to create meaningful relationships with your colleagues, but remember that you’re at a workplace and usually those people aren’t meant to be your friends. Set your eyes on your professional goal and push toward it with all your energy — being nice will only divert you from your mission. Let’s examine for a moment what being respected really means at work. Respect generally evokes a positive feeling of deference or esteem for a person and their actions. We respect people who are experts in their field and aren’t afraid to show (and share!) their expertise with others. Respect comes to those who get recognized for their work — that’s how they assert themselves to be heard and seen. Being nice isn’t going to earn you respect. It takes a lot of work to gain the respect of people you work with, but the effort is definitely worth it. It’s what will make executives notice you and recommend you for promotion. Train your self-confidence. This doesn’t mean you should become more aggressive, but rather more emphatic and self-assured. Over the course of your career, you should strive to develop a professional identity. Never compromise or sell out on this identity — this is what will get you respected. Show others how to treat you. If you treat others with respect, they’ll be willing to extend that courtesy to you. Learn to negotiate relationships to get what you want. Give yourself permission to train people around you to treat you with respect and dignity. If you accept behaviors that are aggressive, controlling or bossy, it’s as if you are rewarding others for attitudes that are unacceptable. Stop worrying about what others will think. When making an important decision, focus on the impact this choice will have on the business. Making a hard decision won’t lead others to hate you for it, as long as you pay attention to the manner in which you do it. Be responsible for your mistakes. When you enter certain positions of responsibility, you will take risks and mistakes will happen. If you dare to acknowledge them and show others what you’ve learned from them, you’ll gain their respect. Different behaviors work for men and women. A recent study showed men who get angry tend to attract more respect, higher status and better job titles. They gain in the eyes of others because their anger shows that they care. Anger in women generates an altogether different reaction — they’re seen as emotional creatures. Women gain more respect by being calm and rational even when facing extreme stress. Use the right body language. You’d be surprised to learn about the impact body language has on our interactions. Before you enter any situation, double-check your body language to avoid leaning away, crossing your arms or touching your face (or other parts of your body) — this conveys lack of confidence and makes you look less approachable. This is a question that needs to be addressed. Some of you might wonder why professionals can’t be both these things. In fact, they can. Kare Anderson argues in Forbes that we can be liked and respected at the same time by striking the right balance between strength (the source of respect) and warmth (the source of personal likability). But can you imagine what effort it takes to maintain this balance and in the meantime preparing yourself for the pendulum effect that is inevitable? We also need to examine the issue with gender in mind. 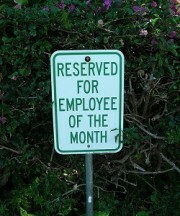 It’s clear being perceived as a person who does their job well comes from a different place in case of men and women. When it comes to that delicate balance between likability and respect, it’s exactly the same. Likability and respect tend to be positively correlated for men and negatively correlated for women. Women who are successful and good at their jobs usually pay a likability penalty – especially if they operate in fields considered to be male domains. Being liked and respected seems like a real possibility for men, but not so much for women. As expected, female professionals will need to work much harder on maintaining this balance or they’ll be forced to choose one option over the other. From what we’ve seen so far from women in executive positions, they’re more likely to pick respect rather than likability. What do I want to be recognized for? What would I like to change in my reputation as I develop my career? What does my industry expect from professionals like me in terms of reputation? What kind of reputation will bring me closer to my goals? Those are questions you should be asking yourself from time to time. It’s the best way to ensure that you’re on the right track to becoming the kind of professional persona you wish to be. 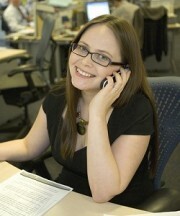 Torri Myler is part of the team at www.bankopening.co.uk -- a UK bank branches opening and closing times repository. She is very much interested in the initiatives that aim at enhancing work environment that she combines with her passion for human resources.